With the flagship G5 failing to generate as much sales as LG would like, LG is doubling down on their mid-range offerings by expanding their X-series lineup with three new devices. 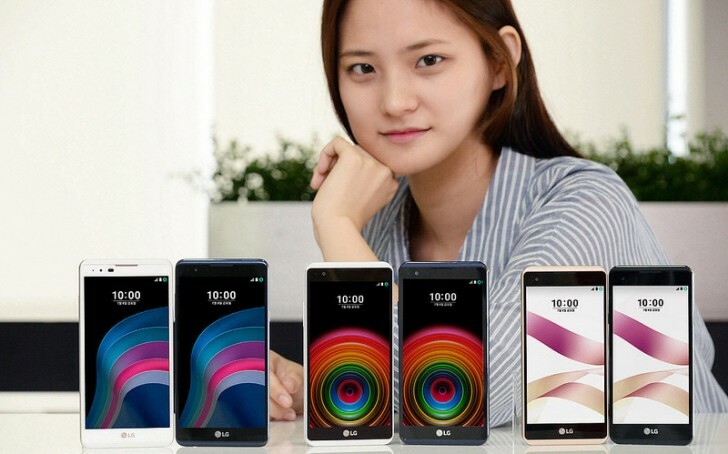 The LG X5, X Power and X Skin all sport 5 inch and above sized displays. The X5 packs a 5.5inch 720p HD display, a 1.3GHz quad core processor, 13MP/5MP camera combo, 2GB RAM, 16GB built-in storage which is expandable via a microSD slot, 2800mAh and the usual connectivity options such as LTE, WiFi, Bluetooth and is packed into a body measuring 151.6×76.9×7.2mm and weighs 133g. The X Power goes a bit smaller with the 5.3inch 720p HD display, measuring 148.9×74.9×7.9mm and weighs 139g. The X Skin is powered by a 1.3GHz quad core processor like the X5 and pretty much shares the same internals as the X5 with only the 4000mAh battery been the only thing separating these two devices. The X Skin is the lightest and thinnest of the bunch weighing 120g with 6.9mm waist. The X Skin shares the same internal components as the X Power and X5 but swaps the 2GB RAM of the X5 for a 1.5GB RAM, and the 13MP/5MP combo for a 8MP/5MP. The battery is also smaller and maxs it out at 2100mAh. The X5 and X Power is expected to retail at KRW 200,000 ($175/€155) and would be available in a choice of White and Indigo Black, While the X Skin despite its somewhat diminished specs woukd retail higher than the X5 and X Power at KRW 231,000 ($200/€180).